Miles Morales, the young, new Spider-Man, is suddenly the Marvel universe’s most-wanted after a vision about the future predicted that Morales would kill Captain America. With pretty much every superhero hunting him down for escaping arrest, it’s just his luck that he ends up face to face with Venom, the creature that killed his mother. This all starts with Marvel’s ongoing “Civil War II” event in which the Inhuman Ulysses has split the Marvel heroes down philosophical lines because of his ability to see potential catastrophes in the future. His abilities allow him to see horrific disasters that can theoretically be prevented. This idea of using Ulysses to stop crime before they happen essentially divides the Marvel universe between heroes who join Team Captain Marvel, who believes in preventing the disasters through predicative justice, and Team Iron Man who views Captain Marvel’s measures as both dangerous and an illegal breach of personal liberties. Ulysses’s visions have already led the to the death of Bruce Banner, aka The Hulk, and the creation of a pseudo police state run by Captain Marvel. But when Ulysses had a vision of Morales killing Captain America, both sides are left confused by such an impossible future. With both sides trying to track down a renegade Miles Morales, who escaped out of a combination of fear and confusion, each side wants to find Spider-Man before the other. This unfortunately leads to what appears to be Flash Thompson’s Space Knight Venom having a run-in with Morales, which wouldn’t be too big a problem if it weren’t for the fact that the Venom Symbiote killed Miles’s mom. “But Miles’s mom is still alive!” you might be asking, and the answer is unfortunately complicated. 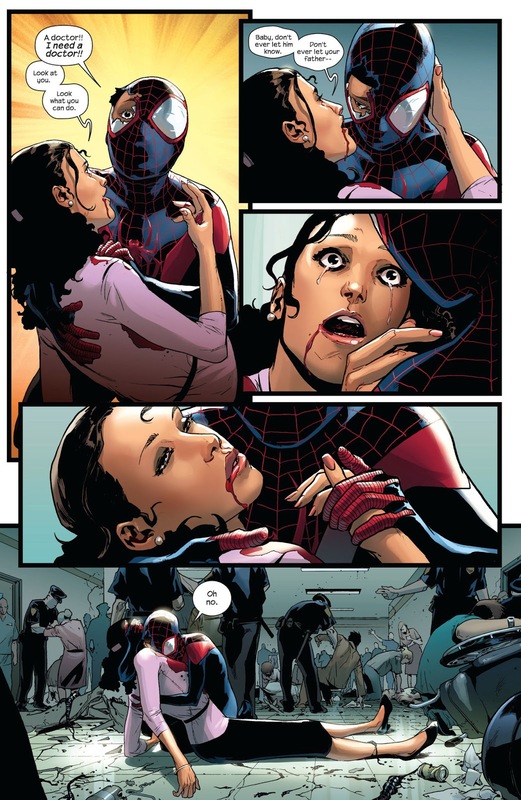 After the multiverse was destroyed in Marvel’s “Secret Wars,” Miles was transported from the Ultimate timeline where his mom was killed by a scientist and Venom host Conrad Marcus, to the Earth-616 universe where his mom is still alive. 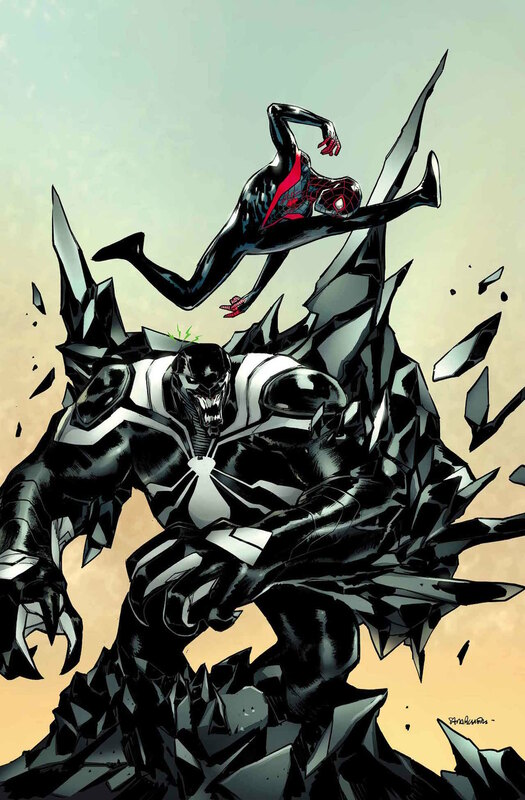 However, Miles still retains the memories of his Ultimate life and for that, still can’t forgive Venom for his mom’s alternate-dimension murder, even if the symbiote belongs to a completely different host, and is technically a good guy. Morales still remembers his mother dying in his arms, and so the confrontation between the two is sure to be charged with emotions, confusion, fear, and danger. Spider-Man #9 will be released in comic book stores and digital retailers November 16, 2016.